Peeled boiled eggs are a protein loaded 'thing' now! 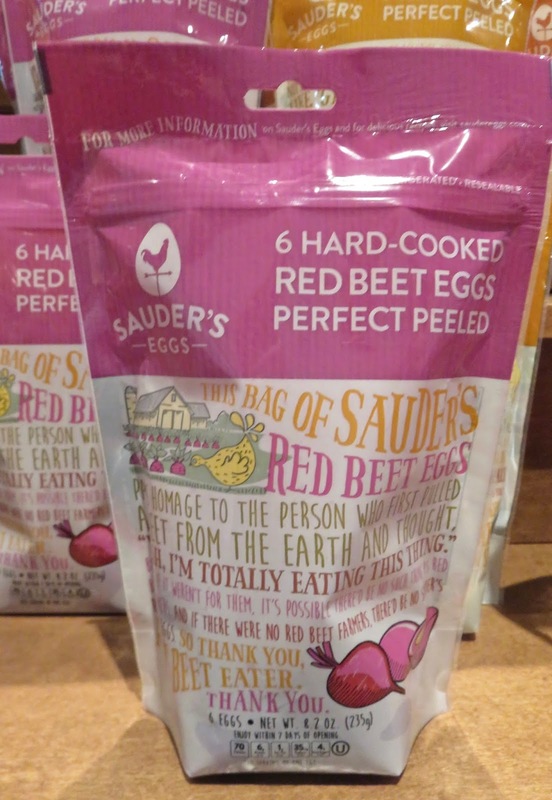 Sauder's versions are amped with beet goodness-in 2 and 6 packs. Another trend-hidden veggies-don't get much tastier than these dessert worthy Garden Lites in chocolate. In the freezer section at stores fyi...but stash them in kid's lunch boxes-and by the time they eat them-most chewy and ready! Delicious -we kept a box in the fridge. Six flavors available-options all tasty-include dairy, soy, peanut, tree nut+gluten free. Around 100-120 calories per...with real deal iron, potassium and calcium too. 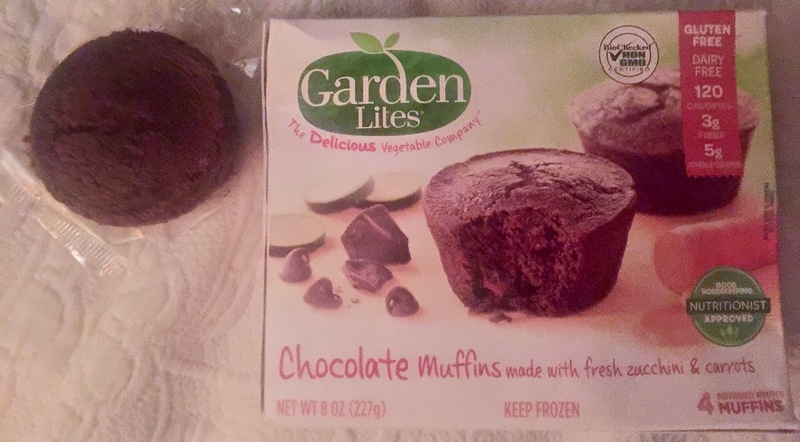 The chocolate- what we tried...has zucchini + carrots as the first two ingredients. IMPRESSIVE. Microwave them for few seconds...for even more of a moist chewy texture. Plant protein is more mainstream these days-out of the niche vegan category and part of a lot of everyday meals+snacks. 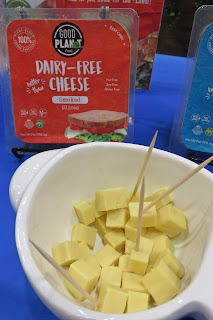 Good Planet Dairy-Free cheeses gets the texture right, tastes good too. Available in smoked, feta, cheddar, mozzarella and American -slices, blocks and shredded. 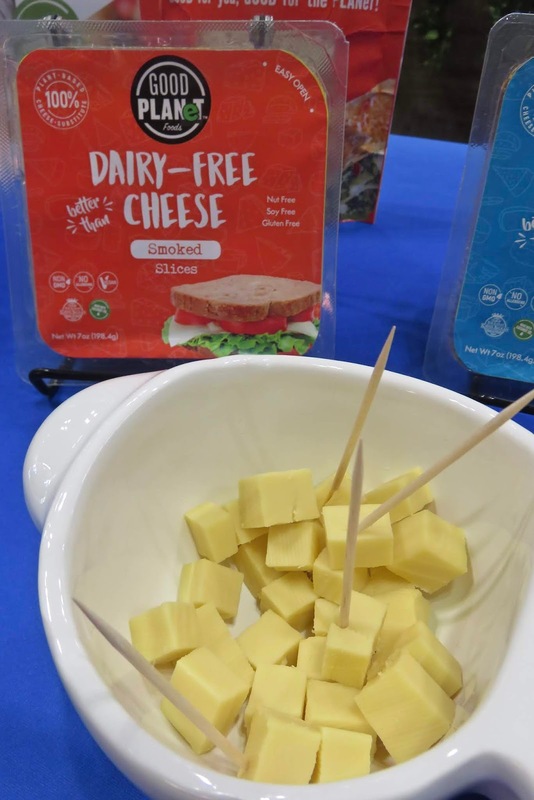 Melt similarly-helpful for pizza lovers, Lactose, GMO, gluten, dairy, soy and animal FREE. Certified vegan. 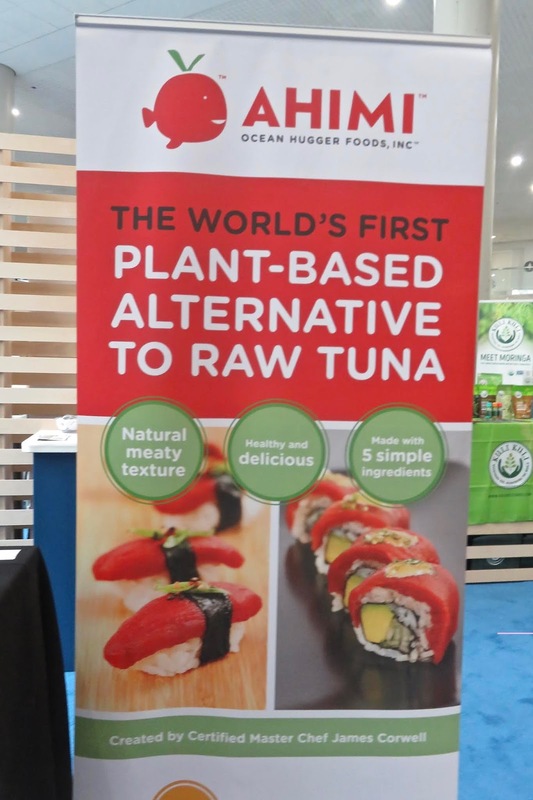 The sustainable minded AHIMI (Ocean Huggers Foods) booth was off the path at the most recent Fancy Food Show---but got major buzz anyway. 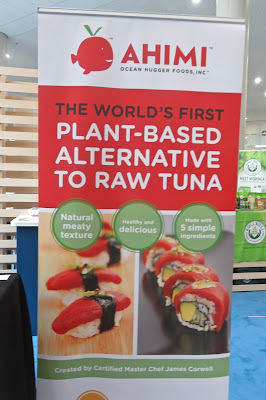 It is a tomato based alternative to AHI tuna-invented-inspired by over fished -unsustainable fishing conditions-seen first hand in Tokyo Texture wise, Ahimi it is spot on and the taste is similar-and when eaten - prepared in sushi...is a pretty good sub. Plus vegan and vegetarian friendly-obvs. Whole Foods carries this now. In development-a salmon and eel replacement-made from carrots and eggplant, respectively, VERY COOL.